Raising boys is hard work. I am sure many of you can relate to the messes. Whether it is in the house, outside, or just the site of their clothes, the messes are real with boys. I remember when they were smaller I felt like I was trapped in a sea of sticky fingers, dirty faces, and havoc in my house. Who am I kidding? The trenches of parenting go all the way into the teen years. We have every age group and messes happen in everyday life, as we homeschool, as we learn, as we play and as life happens! You know, my grandmother had a sign hanging at her front door when I was a kid. It said, “If you came to see me, come on in. If you came to see my house, make an appointment!”. This is the story of my life! Swiffer has sent me some of their amazing products that are perfect for parents saying yes to the mess! There is never a dull moment with my boys. Although their messes can be super frustrating I have to say some of the greatest memories and the biggest laughs have come from the crazy messes they have made together, especially when they were toddlers. With a houseful of boys I know times of reflection are slim to none. They are always on the go and these messes they make, although they may seem huge at the time, are occurrences that I love to reflect on as they grow and change. One story stands out in particular with my boys. When my twins were two and a half they were easily captivated by the stories found on PBS; like Clifford, Big Big World, and Dragon Tales were just to name a few of the ones they loved. On top of that, there were toys galore! Apparently what PBS had to offer this particular day was just not as stimulating as the “eggtastic fun” they had sought out while I was on a short 3 minute conference call. It is simply amazing just how quickly kids can get into things or create a mess with just a few short minutes. While on the call I was somewhat distracted by the giggles and repetitious thuds coming from the next room. Once the call ended I went to investigate only to find my sweet twins hurling eggs from the assembly created across the couch cushions and the wall was a disaster. One twin mid toss the wall totally covered in egg slime. One lonely egg left. Standing alone in the carton of what was once 18. This was pure amazement for them as I stood and just stared speechless. I mean how did this happen so quickly? It is in moments like this when we realize our kids are gonna make messes. They may not all throw eggs at the wall, but in these messes we find some of their most creative moments and treasures of what motherhood is all about. 1. Messy play can spark your little ones senses. When your kiddo is given the opportunity to get dirty, it inspires these senses to come to life. They can touch, feel, smell, and even observe the way things work and develop interest. 2. When your kids make messy play they are in an avenue of discovery. Not only are they having fun but they are also becoming curious of the world around them. 3. Hands-on fun improves dexterity and fine motor skills. Even though messy play can seem like a headache. There are huge benefits to letting your child have some hands on fun. Messy play allows those little hands to work hard and improve fine motor skills at the same time! 4. Messy play expands on those vital developmental skills. This includes spatial awareness and hand eye coordination. 5. Creativity is optimized when kids are allowed to just have fun and explore. In these small moments kids can create, learn, and grow mentally with their own creations. You would be surprised to know that 72% of parents are supportive of their kiddos making messes while another 90% object. Many studies conclude that kids making messes is really a great thing. They become creative and they are able to let go and have fun. Some of the most successful career professionals can attest to their mess making as a child as being some of the greatest keys to creativity and education. Truth is moms and dads is that messes are a wonderful way to encourage learning within your child. It is not just about making the mess but they can also learn from cleaning it up too! Believe it or not at least 97% of parents of young children will totally agree. So how do we embrace the mess? Well Swiffer and actress Sarah Michelle Gellar are encouraging parents to say “Yes to the Mess” and embrace life’s little messes. I don’t know if you own a Swiffer but if you don’st you need one. Messes are cleaned up in no time with Swiffer. Swiffer offers clean up in such a simple way. With everything from sweeping, mopping, and dusting products virtually every surface in your home can be cleaned easy peasy. 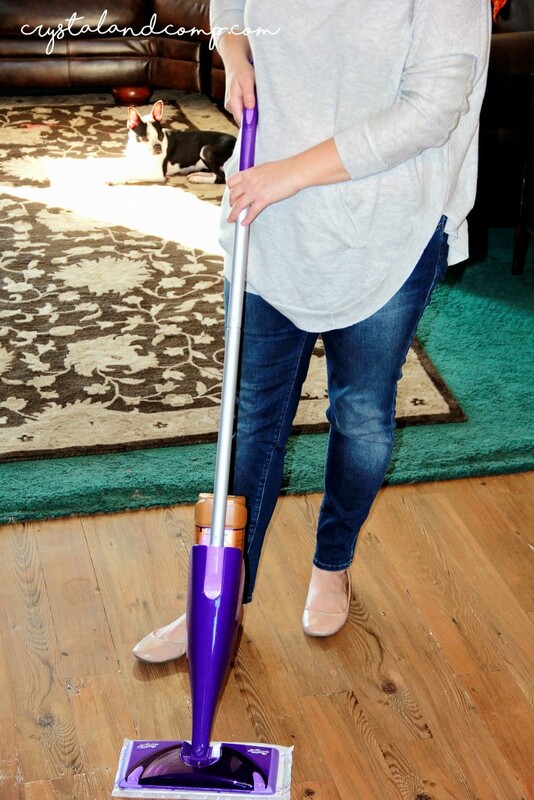 For example the Swifer Sweeper has a surface sweeping and mopping tool that locks in dirt, dust, and hair while the wet agent of the mop provides an amazing clean by trapping up dirt and grime. We can’t forget the Swiffer Duster. This thing is completely amazing with a Dust Lock Adhesive feature that has 50 % more fibers than other dusters and it traps up to 3x more dust. With products like Swiffer there is no reason to stress over the mess. Say “yes to the mess” and let your kiddos have fun, create memories, and build character that lasts a lifetime. Share your story with me! 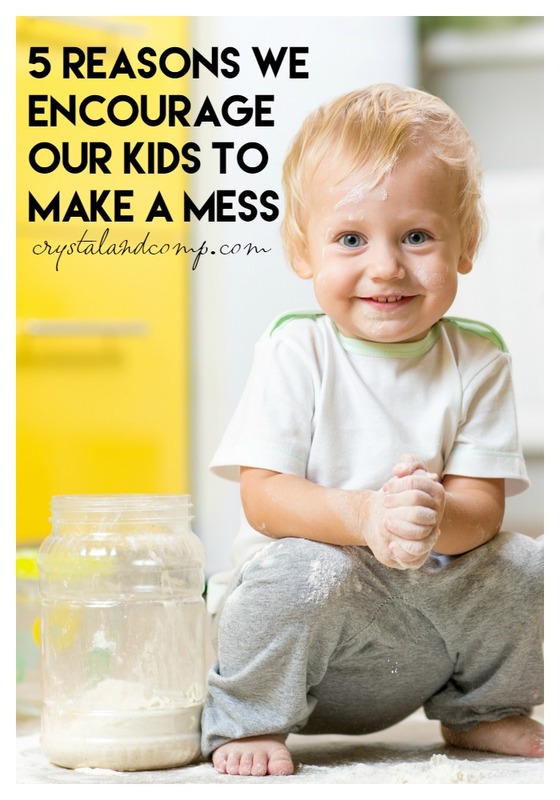 How do you encourage your kids to make a mess? Or does this freak you out a little? This post is sponsored by Swiffer and I am part of Mom It Forward Blogger Network. Messy times are fun times. Those are the times when you don’t worry about cleanup and just focus on fun. These 5 reasons are so true. I cringe at the thought of my kids making messes, but I just walk away and let it happen! I can clean it up later! And they have so much fun. I am the mom who does not like messes. In fact, pain, glitter and moon dough are banned from my house all together. I agree with what you say here. My son is a bit messy but he’s got a great imagination and I like that. When my kids were little, I allowed them to “get down and dirty.” We had hand painting activities, made “sculptures” with salt dough, played with the sprinkler, or just running around in the yard discovering little things. It was a memorable time that I will treasure forever. Mess is fun for kiddos. I’ve been hearing a lot of great things about the Swiffer products. I will add them to my grocery list. Love this! Parents these days don’t allow kids to get messy anymore – they need to see this post to learn why it IS okay! What would we do without our Swiffer?! And yes our boys make messes daily. Most of the time, hourly! We have this sign on our fridge, “The house was clean last week, sorry you missed it.” You see a mess, I see my boys playing and luaghing, exploring and learning! Ok, I need that sign! I don’t have kids but I do have a dog that makes big messes and I love her for it because that means she is having fun!! I have a swifter too and I love it!! Sometimes kids just need to get messy. When my kids were little they loved to paint. It was messy but they always had a ton of fun. My kids love to help me in the kitchen. I do not mind when they make a mess because they are having fun and learning. Swiffer makes cleaning up so easy. I use the Swiffer Wet pads to wash our floors. I love the lingering scent after washing the floors with their products. I really like the way their products smell too! Mess means fun, I can totally relate. I remember when my kids trashed our house by spreading the left over cake lol. I guess I’m one that cringes at big messes. I understand that messes will be made because they are just kiddos of course so it will happen anyway. 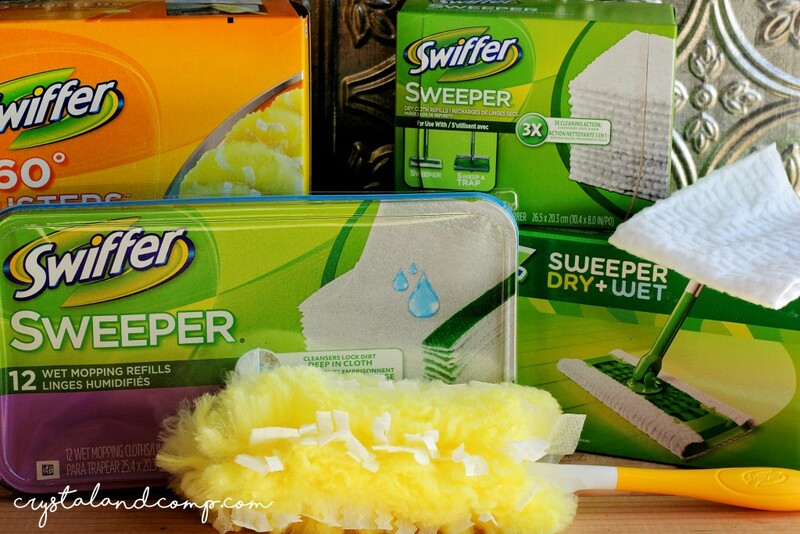 We use Swiffer here a lot and love their products too. I don’t really mind when kids make a mess. As long as it gets cleaned up at some point, it’s all good. Might as well have a good time playing. I have a preschooler so we are always trying to clean up his mess! 😉 We love to use paint and clay for imaginative play. Love that Swiffer! I have adult kids. My 18-year old son lives with me and a couple of days ago, I went into his room and notice all this empty water bottles, Gatorade bottles under his desk. It was amazing. Almost like they had babies. Anyway, I asked him to bag them up and it ended up filling two huge trash bags. Sounds like our almost 15 year old! My boys love to make messes, and my husband and I are supportive of their creative messiness. They love digging in the dirt under our deck and creating their own little city. They enjoy running through the sprinkler and playing in any mud puddles that develop. Dirty kids = happy kids. They’re only little once, let them be messy and explore their world!! !